Notes: In the mid 1800's there were two proposals for a railway linking Guildford & Horsham. One from the Horsham & Guildford Direct Railway and the other from the Wey and Arun Junction Canal Company who wanted to drain 16 miles of their canal and build a railway along the canal bed. The Wey and Arun scheme was quickly forgotten but a bill to incorporate the HGDR was put before Parliament, and on 16th February 1860. Initially the London Brighton & South Coast Railway opposed the Bill but following an agreement that the LBSCR should run the line they withdrew their opposition. The Horsham and Guildford Direct Railway Act was passed on 6th August 1860, with a clause that required the London & South Western Railway to allow the company to use one and a half of its line, still unfinished at that time, between Peasmarsh and Guildford. Construction of the Horsham & Guildford Direct railway started early in 1862 with five stations planned at Bramley, Cranley, Little Vachery (later changed to Baynards), Rudgwick & Slinfold. 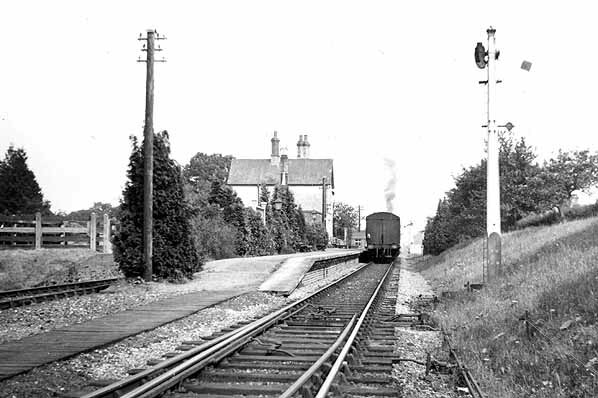 The branch opened on 2nd October 1865 and was single track for its entire length with a passing loop at Baynards Station. In 1867, Cranley's name was changed to Cranleigh at the request of the Post Office because badly written letters were sometimes mistaken for Crawley and vice versa. During 1876 passing loops were added at Bramley station and another at Cranleigh in 1880. In 1888 Bramley was renamed Bramley and Wonersh as the station equidistant from the two village centres. In 1902 Christ's Hospital Station was opened at Stammerham Junction at the southern end of the line, this was built to serve the new Christ's Hospital School. The station had seven platforms (three on the Guildford line and four on the main line) to cater for the expected large number of pupils expected daily. These numbers never materialised as the school was opened to borders only and it was only busy at the end of a term. 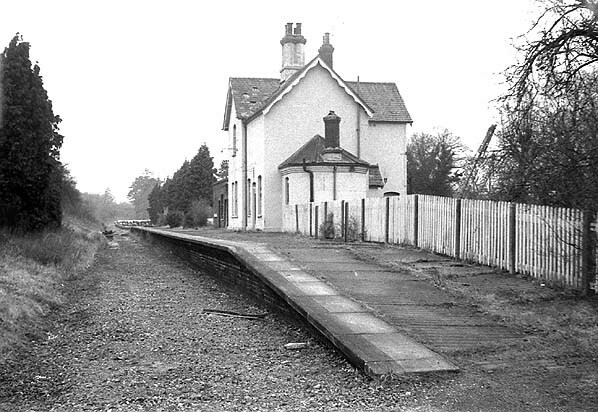 There was a proposal to electrify the line between Peasmarsh and Cranleigh in the 1930's to allow a through service to Waterloo but the proposal was dropped with the coming of WW2. During the 1950's passenger numbers were poor and the branch was considered for closure. The railway strike of 1955 proved disastrous for the line with freight traffic being forced onto the roads. The traffic didn't return after the strike and the line began losing money. The goods service was withdrawn from the five stations in 1962 and with only 5000 passengers a week using the line and 5000 tons of freight passing over it, branch was listed for closure under the Beeching report 'The reshaping of British Railways' and closed on 14th June 1965. 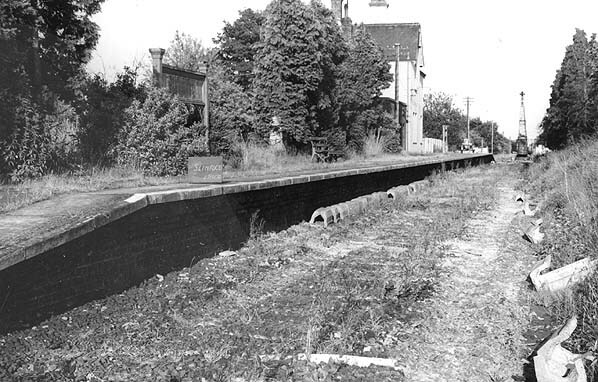 With the growth of the population of Cranleigh, Surrey County Council commissioned a study to look into rail improvements in the county in 1964, one of the proposals was to reinstate the rail service between Guildford and Cranleigh and in 1996 British Rail looked into the technical feasibility of reinstating the line but the proposal was not economically viable and was dropped. Much of the line is now part of the Downs Link long distance footpath and bridleway.